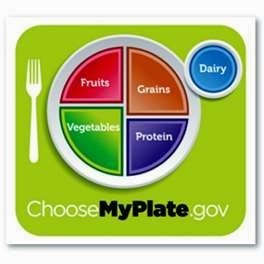 KTK-Nutrition : Natural Remedies – What Works? Natural Remedies – What Works? We all have heard of natural remedies for many health conditions. Go to any drug store and walk down the vitamin aisle. You will see hundreds of bottles of vitamins and minerals but also many so-called “natural” remedies for certain medical conditions. Some of these remedies are bogus, unproven, and can even be bad for one’s health. But other “natural” remedies seem to have some promise. One of these natural remedies is a spice. Spices have been known for a long time to have health benefits as spices are full of those healthy antioxidants. Not only do spices make our food taste better, they provide few calories while providing good nutritional value. One spice in particular, turmeric, is getting a lot of attention and praise from those in the health field. Turmeric is a yellowish spice, known for 4,000 years and used often in Indian cooking and the spice used in curry. 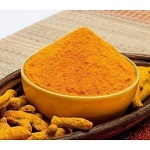 The chemical in turmeric that provides health benefits is curcumin, which is yellow in color. Most of the turmeric used throughout the world comes from India. What health conditions is turmeric used for? People use turmeric for a number of health conditions including, arthritis, heartburn, joint pain, stomach pain, Crohn’s disease and ulcerative colitis, and high cholesterol. NIH notes that turmeric’s antiarthritic effects… include inhibition of joint inflammation.... Indeed, this is one of the main reasons so many older people are taking turmeric. Since it acts as an anti-inflammatory, it has also been found to be helpful in reducing muscle soreness from exercising. Another reported action of turmeric is lowering blood cholesterol including lowering of the bad LDL cholesterol. The curcumin in turmeric may be helpful in reducing inflammation. Turmeric is also a good source of iron and the antioxidant mineral, manganese. Iron is important in helping our bodies carry oxygen in our blood to our tissues to help in energy production. Dr. Roach, who writes a health column, notes that turmeric is thought to be safe. Most people don’t have side effects but those that do experience stomach upset, nausea, dizziness, or diarrhea. The doctor notes he has many patients taking turmeric and about half say it has helped them. He notes the usual dose for turmeric is 400-500 mg taken 2 or 3 times a day. However, absorption varies. Black pepper seems to aid in the absorption of turmeric, increasing its bioavailability by some 2000%. 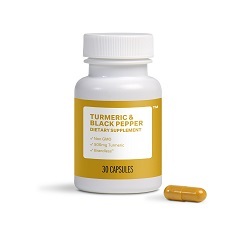 You can now buy turmeric supplements with black pepper. But some people aren’t able to handle turmeric without side effects. One person noted side effects after taking 600 mg of turmeric twice a day or even once a day. Dr. Roach recommends trying a lower dose if one experiences side effects. On a personal note, my husband and I have been taking 500 mg of turmeric once a day for over 3 years and have not noticed any adverse side effects. Check with your doctor about taking supplements such as turmeric to be sure they are safe for you. How can you add turmeric to your day? Since turmeric is a spice, one doesn’t have to take supplements to add turmeric to their diet. Dietitian Megan Ware suggests: adding turmeric to spices when making a barbecue rub. Make a homemade dressing using oil, vinegar, and season with spices that include turmeric. Add turmeric to marinades you use in cooking. She notes a number of recipes developed by dietitians such as a Mason jar lentil salad. Another dietitian recommends an Apple Cider Turmeric Vinaigrette (recipe below). Blend all ingredients together using a whisk.